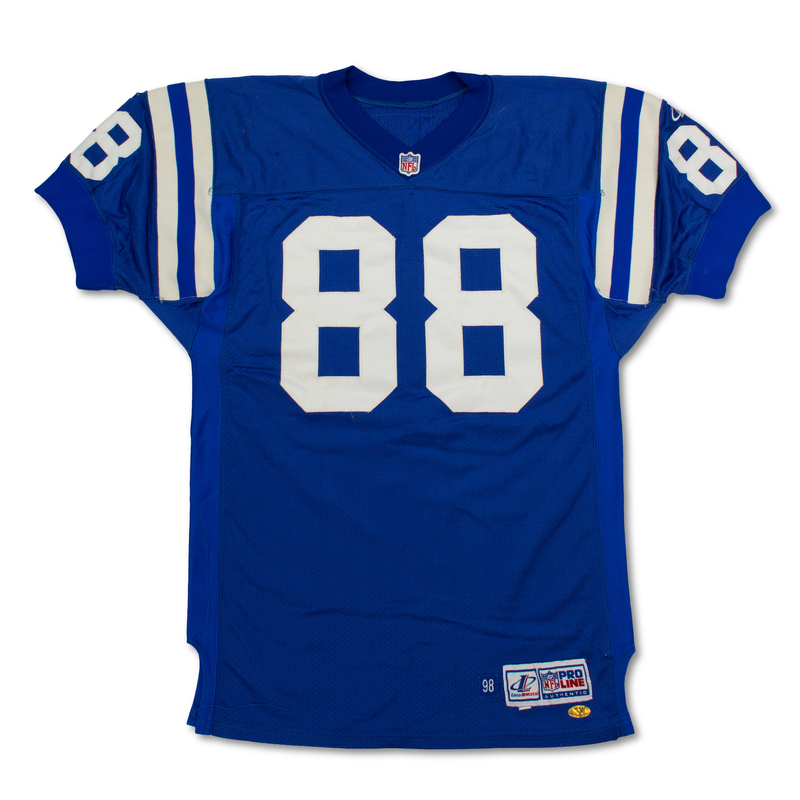 Presented is a Marvin Harrison Indianapolis Colts home jersey, pants and socks that were worn during the 1998 NFL season. The size 46 Logo Athletic ProLine jersey shows good game used with puckering, loose threads and multiple team repairs. 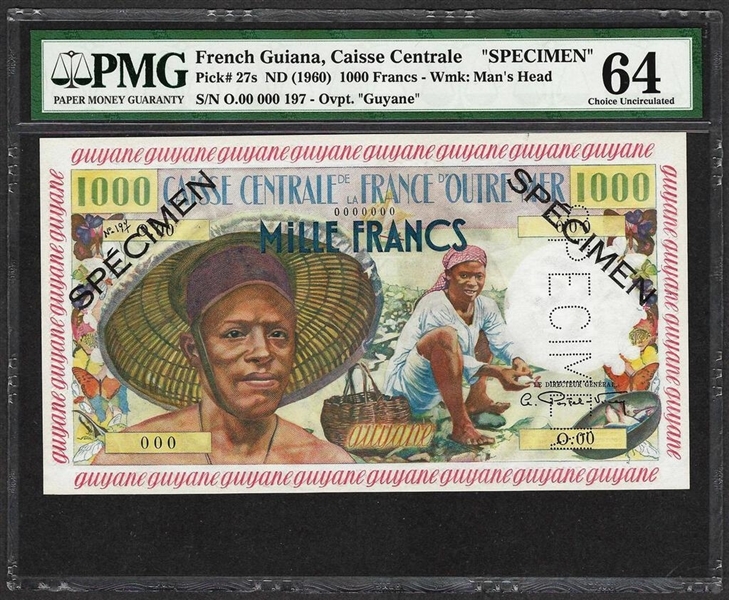 The jersey is tagged "98". 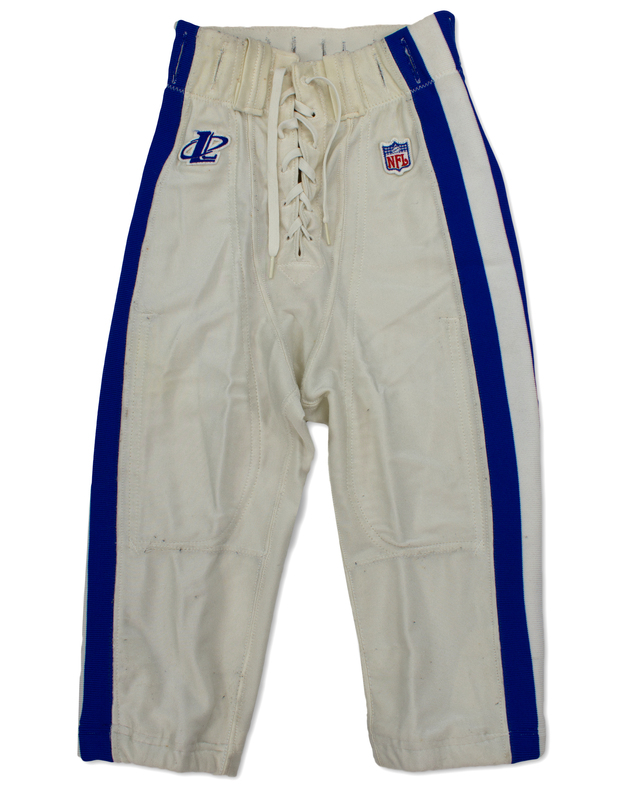 The white and blue size 30 pants and socks both have handwritten "88" in black marker. The set has multiple holograms from collectible companies that originally sourced the game used items. 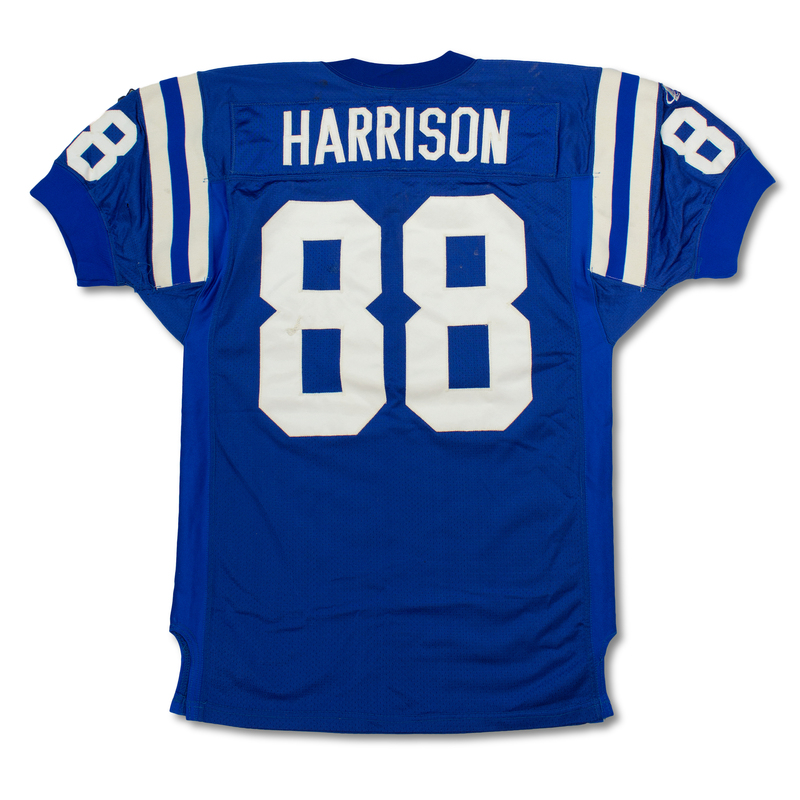 Harrison is on of the greatest receivers of all time and has the stats to back that claim.